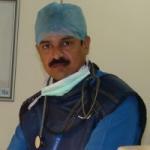 I am honoured to announce and extend heartfelt welcome to you for attending the 2nd International conference on Interventional Pain Management and FIPP Review course with Fluoroscopy guided Cadaveric workshop and Ultrasound workshops to be held at the, All India Institute of Medical sciences, the premier medical institute of India from 24th to 26th August 2012. WIP-India section aims at promoting the practice and opportunity to exchange ideas and share the knowledge of Interventional Pain management. Worldwide eminent experts are invited to deliver lectures including keynote lectures being given by Prof P Prithvi Raj, Cincinati, USA and Dr Charles A Gauci Leytonstone, London, UK and other well-known professors. By this opportunity, we invite you to ICIPM 2012 from which you will benefit a lot. Moreover, we are sure you will be impressed by the scientific programme which is being eloberatively prepared by Section chairman Dr Gautam Das and Organizing chairperson Dr Sushma Bhatnagar. We are looking forward to seeing you in New Delhi in August 2012.